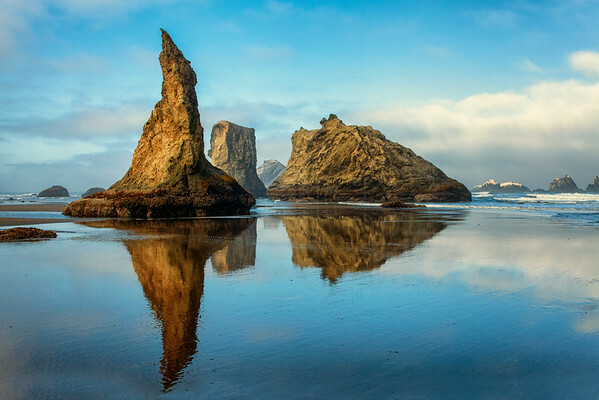 The coastline at Bandon is filled with sea stacks. I refer to this area as a sculpture garden because of all of these interesting shaped sea stacks. Here some of the nicest are reflected in the wet sand early in the morning.